BREMERTON, Wash. - Commander, Naval Air Forces, Pacific announced aircraft carrier USS John C. Stennis (CVN 74) as the recipient of the 2016 Battle “E” award for aircraft carriers homeported in the Pacific, March 28. The Commander, Naval Air Forces Carrier Battle Effectiveness (Battle “E”) competition is held annually to recognize the best performing east and west coast aircraft carriers and award them the for demonstrating superior performance and readiness. Vice Adm. Mike Shoemaker, commander, Naval Air Forces, Pacific and Rear Adm. Bruce Lindsey, commander, Naval Air Forces, Atlantic, released a joint message announcing and congratulating the winners of the Battle “E” award. John C. Stennis was selected for the Battle “E” for demonstrating operational excellence and superior achievement in a wide range of competencies throughout the competitive cycle. The ship also needed to remain current in all inspections, certifications and assessments, as well as maintain a high-level of safety awareness and operational risk management during all shipboard operations throughout 2016. The Battle “E” is presented by the respective type commander (TYCOM) to the aircraft carrier which has achieved the highest degree of battle readiness through sustained superior performance and operational effectiveness. 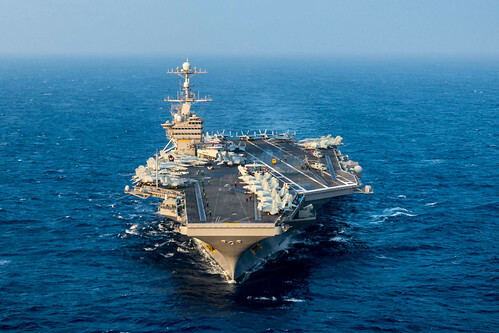 John C. Stennis is conducting a planned incremental availability (PIA) at Puget Sound Naval Shipyard and Intermediate Maintenance Facility, during which the ship is undergoing scheduled maintenance and upgrades.